What is HBR’s Freethinking Leader Coalition? BUY THE BOOK. JOIN THE EXPERIENCE. CHANGE THE WORLD OF WORK. The Freethinking Leader Coalition is Harvard Business Review’s deep dive into the world of Talent. 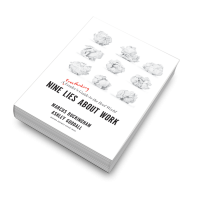 Join Marcus Buckingham and Ashley Goodall, co-authors of Nine Lies about Work, to receive special content, live broadcast events, and exclusive author access designed to help you engage with the book before it’s release and see the world of work as it really is. Lies will be revealed by Marcus and Ashley to coalition members. 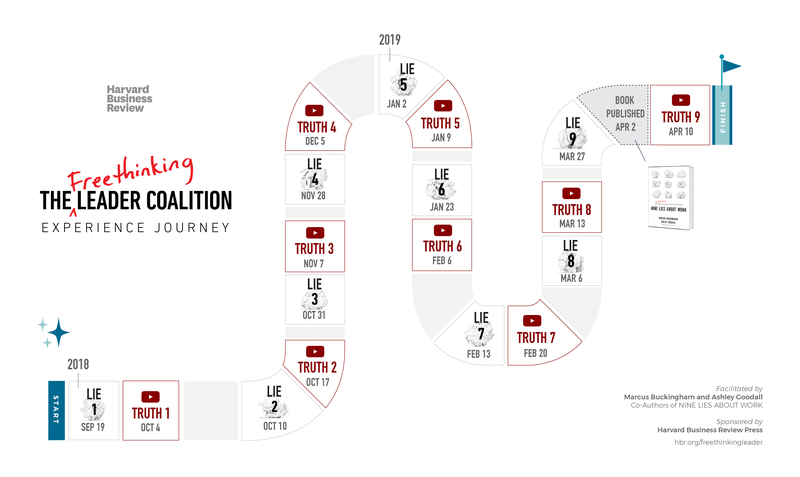 Truths will be revealed to coalition members via video on the FLC website. All you need to join is to PRE-ORDER the book.